Consciousness is one of the most important aspects of being human. It allows for the subjective experience called life. Yet where does consciousness come from? Answering this question has known a long history ranging from ancient times to the technological present. Where do we stand now? This article provides an overview of contemporary consciousness research. Being conscious is one of the most mysterious and most familiar aspects of human life; people feel the wind blowing on their face on the way to class, listen to an informative lecture and taste a delicious meal once back home, they are aware of it, they think. But how do people think? This question has been one of the most fundamental questions in biology, psychology and philosophy since the emergence of conscious human thought. However, research on consciousness was once considered out of the reach of science and even banned as a research topic, as it was a subject only appropriate for philosophy and religion. One of the main reasons for this was that consciousness as a concept is highly subjective and very broad: it encompasses self-awareness and experiences according to Campbell and Reece (2008). On a more positive note, consciousness research, starting with Descartes in the 17th century, has seen a vast increase in scientific research performed in the past few decades, something accurately described by Velmans and Schneider (2007). By providing an historical account on the scientific research of consciousness, it might be possible to create a better understanding of current issues in scientific consciousness research. However, in order to improve current research and understandings, it is necessary to maintain an aim toward the future, as is acknowledged by Searle (1998). Moreover, according to Revonsuo (2009), this future of consciousness research is only feasible if there came into existence a unified research program on which all future research is based. Despite this, a critical perspective in such concepts remains essential as often only hypotheses are constituted, which are formulated without being empirically proven. One contemporary fundamental problem though, labeled ‘the hard problem’ by Chalmers (1999) seems to be intrinsically interwoven with consciousness research. This problem describes the difficulties in crossing the explanatory gap when linking brain mechanisms and the subjective experience that is part of consciousness. Therefore the technological progress made in the past years is auspicious, as it could possibly cross the gap between findings in cognitive psychology, neuroscience and scientific philosophy and the subjective aspects of consciousness, as acknowledged by Grienfield and Collins (2005) and others. One prerequisite for the analysis of scientific consciousness research is a working definition of consciousness, especially since consciousness is considered a very ambiguous term, something which tends to create confusion. According to Revonsuo, consciousness is the ‘subjective psychological reality within which all of us live our lives’ (2009) but a distinction is made between various definitions of consciousness. Nonetheless, the most important concept required for a scientific explanation of consciousness seems to be that which refers to the presence of qualitative and subjective experience as an intrinsic part of consciousness. Another attempt to provide a working definition is made by Grienfield and Collins, who also admit the concept is highly ambiguous, something responsible for major problems in consciousness research (2005). However, despite making various distinctions between notions such as wakefulness and awareness, and putting emphasis on the need to evade the mistake of confusing consciousness with self-consciousness, which is only an aspect of consciousness, it is acknowledged that consciousness is above all characterized by subjective and qualitative experiences. This same concept is also acknowledged by Velmans and Schneider (2007) and therefore, the definition of consciousness as characterized by subjective experiences will be used in this paper. Systematic efforts to acquire an understanding of what constitutes this subjective experience are characterized by a long history. This history has its roots in the 17th century, the period in which Rene Descartes lived, the first person attempting to systematically research consciousness. The findings and theories derived from his research continue to influence others nowadays, as will be observed later. Moreover, his influence can be explained by the fact that he was the first person to highlight the most difficult problem still confronting consciousness researchers at present, which is the problem of explaining how consciousness could possibly emerge from the brain. The difficulty of this problem is described in Descartes’ dualism theory, in which it is described how a clear distinction must be made between the mind and the body, since both of these are described in terms of very distinct characteristics: the main characteristics of the body are attributed to physical processes, whereas the main characteristics of the mind are attributed to thought. However, such a distinction is not considered to be a satisfactory explanation for consciousness in the realm of science and therefore still remains a challenge in consciousness research nowadays. Nonetheless, Descartes was also among the first to consider a correlation of consciousness and neural processes. His conclusions include findings which recognize the brain as an important aspect in sensory inputs and motor outputs and outputs, but by these the brain only functioned as a small aspect of consciousness. According to Descartes, the pineal gland in the brain served as a connection between the mind and the body, with the former being ultimately in control provided with cues by the pineal gland in the brain. This connection between the mind and the pineal gland can be observed to be the first systematic approach of scientific research on consciousness; yet, it were the implications of Descartes’ dualism theory that had a major impact on humanities’ perspective on consciousness. Since Descartes, various attempts, mostly philosophical in nature, have been made to clarify the connection between consciousness and the physical body. These attempts include theories by Spinoza, Leibniz and Berkely, who all lived in the 17th or 18th century. Spinoza’s dual aspect theory implies that consciousness and the physical world are one and the same, both being different aspects of the same thing. Contrary to this was Leibniz’s theory of psychophysical parallelism, which proposes a separation of the mind and the body as different substances, collaborating in harmony. Another influential theory in the 18th century was Berkeley’s immaterialism, stating that nothing existed unless it was a mind or being perceived by one. Even though a thorough explanation of these is beyond the scope of this paper, the existence of these theories indicated that consciousness studies were rising, despite lacking an empirical scientific foundation. Nonetheless, it is a theory proposed in the 18th century which forms the essence of the convictions many researchers attempting to link consciousness to neural correlates are holding nowadays. This theory, labeled materialism, was first proposed by de la Mettrie and it states how matter, and thus the physical body, is responsible for all mental processes, which are the result from complex processes in the brain. However, ideas in the 18th century differed greatly and were in some cases contradicting, which is illustrated by Kant, who rejected the notion that science could ever explain consciousness, as calculations and experiments could not be applied to describe or test mental processes since these varied only in time and were subjective. Similar to Descartes’ dualism, these concepts formed the basis of the premise that psychology, the study of the mind, was ‘not a proper subject for scientific enquiry’, a conviction held by many until the late 19th century . Despite this, human enquiries about the nature of consciousness set in motion two important developments that contributed to the scientific study of consciousness in the 19th century. First of these is the development of psychophysics, which regards mental phenomena suitable for experiments and mathematical modeling. The basis of this method is formed by sensations, and thus subjective experiences, and shows that differences in intensity depend on the strength of a certain stimulus. However, it could not yet be measured what the connection between this intensity of sensation and nervous activity was. Additional to the development of psychophysics were significant improvements made in the understanding of the nervous system which gradually accumulated in the acknowledgement of the neuron as the basic information processing unit. This is considered one of the major developments in the last fifty years, and came parallel with the rise of information theory, a mathematical technique that allows the quantification of ‘the amount of information in a signal, the rate of transmission of information through a communication channel, and the capacity of a communication channel’ . Linking the application of this theory to mental processes was an important step in the search for a scientific account of consciousness. Eventually, the impact of information theory on psychology led to the formation of cognitive psychology, which is especially noteworthy as consciousness is often an object of study for cognitive psychologists. These cognitive psychologists eventually demonstrated that various cognitive processes such as memory, perception and action are partly processed on a subconscious, automatic level; something also considered one of the major developments in consciousness research. However, one of the major disadvantages of cognitive psychological methods was that the results of cognitive psychological experiments often relied on methods such as introspection and meta-cognition, which do not take into account the possibility that subjects are actually not conscious of a certain stimulus when they detect one, but that their success is the result of processes performed on the subconscious level, which is a significant limitation in consciousness research, as this would evade the notion of subjective experience . Fortunately, the development of new brain imaging techniques in the past decades has contributed significantly to a solution of this problem and is still giving rise to a great number of neuroscientific breakthroughs, as well as a large variety of theories attempting to explain of consciousness. However, these different theories have also contributed to the incoherency of consciousness research, which will be discussed later on. 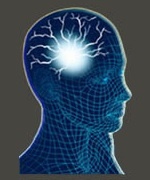 Nonetheless, brain imaging techniques (including MRI, fMRI, PET, and EEG) share their ability to provide structural insights into the neural processes and their location in the brain, and have provided neuroscientists with a great number of opportunities to assist them in their search for the neural correlates of consciousness . A characteristic of scientific consciousness research in the past decades can thus be observed in the rise of a vast amount of neuroscientific research aimed at certain aspects of consciousness. Several applications of this research are for example aimed at the study of neuropathologies, impaired and altered forms of consciousness (sometimes also induced by drugs or certain brain supplements). An illustration of such research attempts to study the characteristics of brain functioning of people in a ‘minimally conscious state’, which is a condition of ‘severely altered consciousness in which minimal but definite behavioral evidence of self or environmental awareness is demonstrated’. Unfortunately, the results of this research have proven unsuccessful in mapping the neural processes that govern consciousness. Similarly, as is illustrated by the failed attempts of researchers studying the loop of bioelectrical activity in corticocortical and thalamocortical loops, which is responsible for the subjective experiences that constitute consciousness according to the ‘master-loop’ hypothesis , no other research has as of yet been able to discover neural mechanisms that explain subjective experiences. These failed attempts in discovering the neural processes that constitute consciousness illustrate the major problem in consciousness research: the ‘hard problem’. This ‘hard problem’ is observed to be the reason for most failed scientific explanations of consciousness. According to Chalmers, the problems facing consciousness research can be divided into two categories: the ‘easy problems’ and the ‘hard problem’. The easy problems included those of explaining certain mental phenomena such as the integration of information, the focusing of attention and the differences between sleep and wakefulness, and can all be explained by cognitive and neurophysiological models, something which is acknowledged and more accurately described by Greenfield and Collins. However, the hard problem is of an entirely different nature and refers to the fundamental aspect of subjective experience that is intrinsically interwoven with consciousness. This problem emerges from the necessary, but unproven, assumption that physical processes give rise to subjective experiences. The difficulties are observed in the unexplainable character of subjective experiences rising from certain mechanisms, as, even when a particular mechanism is explained by cognitive or neuroscientific modeling, it cannot be derived from research why the actual subjective experience is connected to this mechanism. This creates an ‘explanatory gap’ between the subjective aspects of consciousness, and the objective nature of neuroscientific research, which is responsible for ‘the most difficult challenge for the science of consciousness. Consequently, it can be observed how this ‘hard problem’ shares similarities with the mind-body problem initially described by Descartes, who proposed an absolute distinction between matter and mind. However, according to leading neuroscientists, this gap is caused by a lack of current understanding of the brain and the related mechanisms, suggesting that the gap will be bridged as neuroscience and related technology continue to develop. This auspicious conclusion is derived from the similar manner explanatory gaps existed and have been bridged in many fundamental questions in science, such as the explanatory gaps between physics and chemistry in the 19th century, or in the search for the origin of life in the 20th century . Apart from this, a lack of coherence and unity in consciousness research seems to be a more basic problem in consciousness research. Theories range from quantum theoretical approaches based on collapsing quantum fields, coherent superposition of microtubules and other microphysical phenomena, to various neuroscientific theories. Illustrations of these neuroscientific theories are based on the response of receptors at specific types of synapses, the existence of specific ‘consciousness neurons’, and the dependence on synchronized activity of large neuron groups. Concluding from this, scientific consciousness research seems to be thriving, but the field itself has yet failed in ‘establishing a shared big picture of consciousness’ , and most of the theories often propose different principles and lack empirical evidence, which appears unbeneficial to consciousness research. According to Revonsuo, a solution for this situation would be a unified research program based on the premise that consciousness is a ‘biological phenomenon that literally resides within the confines of the brain’ (2009), something which has earlier been acknowledged to be a necessary premise by Churchland (1997). This research program would view consciousness as part of a specific level of organization in the brain and would relate consciousness research within the various biological sciences, especially cognitive neuroscience, to this basic principle. By subdividing the explanation of consciousness into several levels of description, which are fundamentally smaller subtasks, a multilevel model would be created which frames the various aspects of consciousness in the right context and thereby establishes a research program that is unified and coherent. However, promising as it is possibly presented, it must be observed that this is only a proposal and its scientific feasibility not proven yet. Nonetheless, the systematic approach of creating of unity and coherence in the field of consciousness might prove to be of essential importance, considering that science has answered many fundamental questions of life so far, but yet the nature of consciousness remains an elusive concept. Observing in retrospect, consciousness research has seen the rise and fall of a large number of theories and concepts since Descartes’ expressed his dualism theory; ranging from dual aspect theory, parallelism and materialism, proposed by various philosophers, to materialism, psychoanalysis, cognitive psychology and the growing understanding of the nervous system, on which the scientific approach nowadays is mostly based . Especially the latter aspects, supported by the most recent technological advancements such as brain imaging techniques, might prove to be successful in providing a satisfactory explanation of the subjective experiences that constitute consciousness, and thus solve ‘the hard problem’. Yet, the failed attempts in finding a scientific explanation of consciousness illustrate that technological improvements might have to be made before this would be possible. Parallel to this, the current lack of a coherent and theoretical basis has shown to be problematic. Fortunately, auspicious concepts such as the research program proposed by Revonsuo (2009) have the potential to be of great importance. Therefore, technological improvements or a unified research program could explain the explanatory gap one day, making the assumption this is possible. Moreover, as history has proven several times so far, humanity has the capacity to build bridges across such gaps, unbridgeable as they might seem at first, and thus it might only be a matter of time until that which makes us all think, can finally explained by science. David Brains is a passionate neuroscientist who writes about various topics related to the human brain.